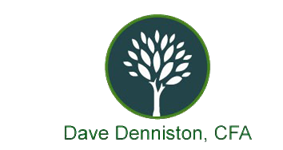 Our physician practice is set up as an “S” corporation. We’re considering transferring stock to a new physician-owner. What are the tax and related economic issues? The controlling IRS code section determining the tax consequences for both the recipient/employee (in this case, your new physician partner) and the grantor/employer (your practice or physician group) is Sec. 83. Property, such as corporate stock, that is transferred to an employee is treated as compensation for services and is taxable to the employee on the earlier of the date that the property is not subject to substantial risk of forfeiture or the date it is transferrable by the employee. The amount reportable as compensation is the difference between the price paid, if any, by the employee and the fair market value of the stock received. The employee has the right to make an election under Sec. 83(b) to include the compensation in the year the award is received without regard to any restriction. The taxpayer is in effect ‘front-loading’ the compensation and related tax cost. The stock holding period will start at the date of award. If the stock is held for more than one year any gain will be taxed as long-term capital gain. If the stock increases in value after the date of transfer the gain will be postponed until such time as the stock is sold. 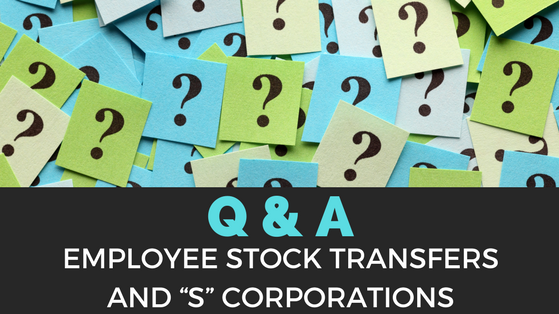 The employer (and not the employee) is considered the owner of the stock until such time as the stock is treated compensation to the employee. In the case of an “S’ corporation/employer this means that any income distributions or other “S” corp impacts will not belong to the employee until such time as the employee treats the benefits as additional compensation. The tax situation of the employee/shareholder needs to be considered. Are there tax benefits to reporting compensation on this earlier date? The tax is paid earlier, at the date of award, as opposed to a later date when restrictions are ended. The stock value may decrease. The employee will have reported a higher taxable value than necessary. The loss in value is only recognizable when the stock is disposed of. The loss will be treated as a capital loss. The employer will be allowed a deduction for compensation when the employee reports the award as compensation. If there is an 83(b) election made by the employee the employer will have a deduction at the earlier date of the award. If the employee does not make this election the employer will have to wait to take the deduction until the later date when the restrictions end. This should also be part of the tax planning consideration. The corporate buy-sell provisions can also impact this decision matrix. Stock ownership may have certain “non-lapse” restrictions such as the value of any future buy-back, forfeitures, and ownership by other employee/shareholders. Alternative Minimum Tax can also be a factor in some situations and must be a consideration in the types of options granted. Corporate Operating Agreements, Buy-sell Agreements, and Employment Agreements must all be coordinated with any employee stock awards to eliminate unanticipated results. Some employers choose to bypass these complexities by issuing a type of derivative called a “Restricted Stock Unit” or RSU. These are unfunded promises by the employer to issue stock based upon a specific vesting schedule. No employee 83(b) election can be made as there is no stock award. The value of one RSU is equal to the value of one share of stock. No voting rights are available. The employer can now control the amount and timing of the compensatory stock awards. Dividend equivalents can also be structured as part of this plan.